In your community, there are countless opportunities for training and fitness. So, out of all of them, why should you become a member at CrossFit Sandpoint? At CrossFit Sandpoint, we have some of the most knowledgeable and experienced coaches in the Northwest. Our head coach, Kenny, has certifications and certificates from the highest certifying bodies in the industy. 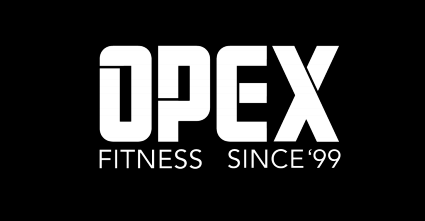 He combines a knowledge of exercise science (CSCS, NSCA-CPT), with movement coaching (CrossFit, Functional Movement Systems), speciality training (USAW), Program Design (OPEX), and nutrition and lifestyle coaching (OPEX, Precision Nutrition). In fact, there are very few coaches in the nation who are equipped with a combination like this. 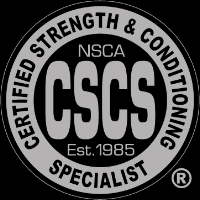 In addition to Kenny’s credentials and experience, the rest of our staff combines to add knowledge from the USAW, CrossFit and other certifying bodies. Pair this with their experience in coaching other sports, their incredible enthusiasm and their passion for what they do mean that you can be assured that you'll be motivated, coached and instructed every single class you attend here. You'll know that you are getting the best, most effective coaching that will excel your progress towards achieving your goals. Lastly, it means that your coaches know what, why and how to achieve your progress. They’re not just grasping at straws or pulling down ideas from the latest Facebook post on training. Meet our coaches here. From that knowledge and experience comes effective, safe, planned programming that builds and develops throughout the year. In a day and age where you can be bombarded with articles, blog posts and ideas, our programs are sound in fundamentals and efficacy. If you attend classes here at least 3 days a week and do what your coaches ask of you for at least a few weeks, you are guaranteed to get leaner, stronger, faster, develop more endurance, and become more coordinated. If you have a more specific goal, or are looking to be coached remotely, we also offer programs for those as well. Although at first the group thing can be intimidating or can seem far outside the comfort level of most people who have spent their time working out alone in a gym or are just not interested in the class or group format, the accountability and fun that a group class offers is incredible. What starts out as a group of scary strangers quickly morphs into a group of people who youconsider as family. Of course you’re not required to, but most of us hang out and spend our free time doing activities outside of the gym as well. This is a wonderful thing that ensures you’re social with people who share the same goals of health and wellness. Like the term or not, we’re often referred to as a cult. The term and reference is ok with me, as it signifies how neat of a group that we’ve assembled. You can see our stickers on our cars, our gym represented on our t-shirts, and generally can find us gathered in social events together. The other huge benefit of a group is that we all hold each other accountable and push each other to keep working for our goals. If you happen to disappear from the gym for a period of time, you’re going to get some texts or Facebook messages. Don’t worry, we (probably) won’t show up at your house or anything, but if we know your goals and aspirations, we (as a group) are going to do everything we can to help you get there. Our membership base and classes consist of a tremendously varied population of participants. We have athletes who are aspiring professional athletes here for cross-training. We have males and females who love fitness and we have members who hate fitness and exercise, but they keep coming back because it's fun and it works. We have members in their 60s, 70s and possibly 80s (they won't admit it, and they don't look it). We have members who are afflicted by injuries and/or disease that most people would assume would preclude them from participating. And we have members who fall into all of those categories, and more. Yet, despite all of those differences, we all work out together, and we all get what we need to out of every session. This is achieved through the effectiveness of our coaching staff and through the use of "scaling", where we modify each and every workout for each and every person to ensure that they are able to get what they need everyday. CrossFit provides a litany of opportunities of things to work on. We utilize bodyweight movements, barbell movements, gymnastic style movements, kettlebells, Olympic weightlifting movements for our strength work. For conditioning, we run, row, jump rope, and have repeatable, measurable workouts. This means that you have quantifiable and qualifiable numbers or movements that you can work on for the rest of your life. Once you feel as though you master or at least dramatically improve one, you get to take the others and work on them. Although that can sound intimidating at first, at the heart of most forms of exercise, the ability to continually improve and be entertained is a huge factor in longevity. In the same way that you can play golf for the rest of your life and continue to work on parts of your game, you can do the same with CrossFit. In single modalities or in more limited scopes of exercise, it’s very difficult to remain consistently motivated to continually improve. The movements and workouts that we perform here are similar and/or universal to the rest of the world of CrossFit gyms. If you travel to another gym, or have to move away, you are still able to continue your progress elsewhere and not have to re-learn everything or start over. In addition to that, you probably have some friends throughout the world who are members at another CrossFit gym somewhere else. You guys can compare and discuss your training programs together. It provides another avenue to enhance and stay motivated throughout the rest of your fitness journey. The more and more research that comes out on exercise science, the more it is shown that full body, multi joint, compound lifts are the most effective, safe and beneficial methods of exercise that are available today. We have all the equipment necessary for those types of movements. We have barbells, dumbbells, kettlebells, weights that can be dropped, body weight implements like boxes, pull-up bars and gymnastic rings. The fitness industry is seeing more and more of that coming in vogue, but here at CrossFit Sandpoint, we’ve been using it for years, and it’s not just stashed away in the corner waiting for someone to figure out how to use it. Ok, Ok, So Where Is This Place and How Do I Join? CrossFit Sandpoint is located at 215 Olive St, in Sandpoint, ID. We have a Foundations program designed to get you up and running which you can read about here, or register for here. If you have any questions, or would like to speak to someone in person, please email kenny@crossfitsandpoint.com or call/text 208-610-2220.